The bonus story for BCS #194, our first double-issue kicking off BCS Science-Fantasy Month 3, and the two bonus podcast episodes are now live on the BCS website. Returning BCS author Cat Rambo (“Primaflora’s Journey” in BCS #170, “Rappaccini’s Crow” in BCS #151, among others) offers “Call and Answer, Plant and Harvest,” a tale of a chaos mage navigating chancy contests and feats. All the stories in this double-issue were available two weeks ago for BCS ebook subscribers. Subscribers get every issue a week before the website, delivered directly to their e-reader or smart phone, and are supporting BCS at the same time. Visit our exclusive subscription partner WeightlessBooks.com for details. The first bonus podcast episode is BCS 169: Call and Answer, Plant and Harvest, that Cat Rambo story, guest-narrated by M.K. Hobson, who has narrated multiple past BCS podcast episodes including BCS 166: The Three Dancers of Gizari by Tamara Vardomskaya. 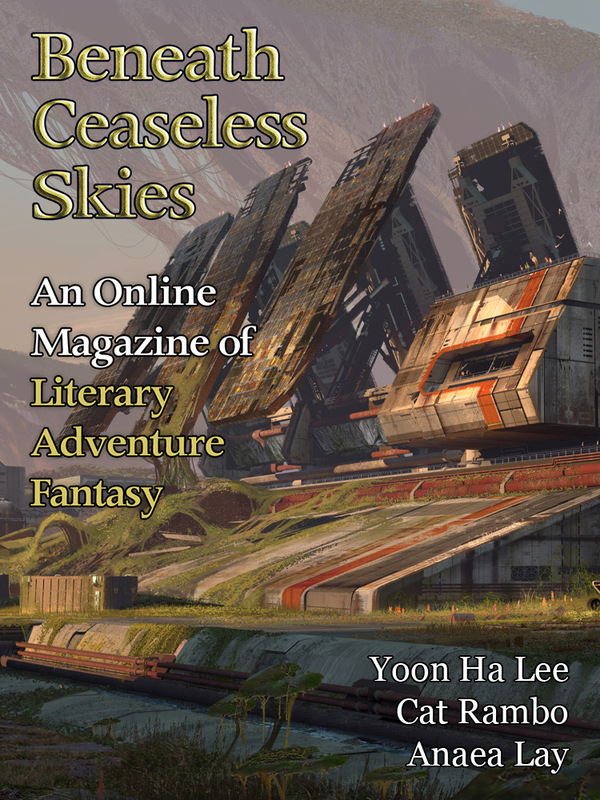 The second bonus podcast is a new episode of the BCS Audio Vault: The Book of Locked Doors by Yoon Ha Lee, a science-fantasy tale of colonialism and grief and loss, for both a person and a people and culture. It’s introduced by the author, detailing the inspiration for the title and the colonialist theme.